Pink Ink and Polka Dots: Ladybug's Teacher Files: Blog Design Giveaway! Ladybug's Teacher Files: Blog Design Giveaway! Ladybug's Teacher Files: Blog Design Giveaway! 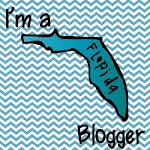 : "So, first of all, I haven't blogged in about a week...which has never happened to me before! I can't believe the week I just had, but I'm so..."